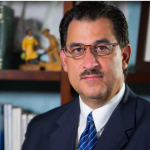 Juan J. Perez, Esq., is a Managing Partner at PereGonza Law Group. 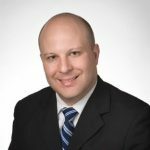 Juan focuses his areas of practice in Business Law, Corporate Litigation, Real Estate Law, Family Law and Civil Litigation. Juan started his journey of becoming a lawyer by studying psychology at Florida International University. Juan earned a Juris Doctorate degree with Honors from St. Thomas University School of Law. Juan is a devoted attorney and member in good standing with the Florida Bar. Roberto Gonzalez is through and through a Miami Dade local. From the way he negotiates, to the small details he catches in the extensive contracts he reviews, his clients will tell you “Rob is definitely a Miami guy.” After attending Miami Coral Park Senior High, Rob gained valuable experience as a waiter, personal trainer, sales associate, handyman, construction worker and concierge at many local businesses throughout Doral and South Florida. Gadiel A. Espinoza, admitted to practice law in the beautiful state of Florida, and a member of the Florida Bar. He practices law in Miami-Dade County, and lives in Miami with his wife and his two boys. 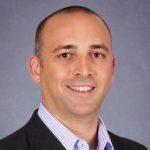 He have a BA in Criminal Justice from the University of South Florida, an MBA from Nova Southeastern University, and a law degree from Western Michigan University. He served in our US Armed Forces as a Military Policeman, and completed a tour in Operation Enduring Freedom. 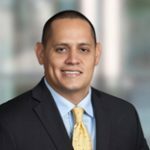 Mr. Perez received his law degree from St. Thomas University School of Law, where he participated in a variety of organizations. 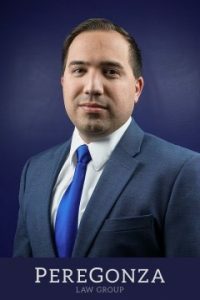 Mr. Perez sat on the board and was the Vice President of the Elder Law Society, the Cuban American Student Bar Association and the Volunteer Income Tax Assistance (VITA) program. 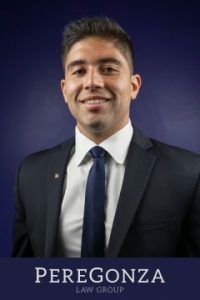 Mr. Perez was also a Member of the St. Thomas Law School Mock Trial Team, where he participated in competitions around the country and a Member of the Intercultural Human Rights Law Review. Mr. Perez went on to obtain his LL.M degree in Taxation from the University of Florida Levin College of Law. Mr. Perez is fluent in Spanish. Mr. Roman received his law degree with honors from St. Thomas University School of law where he graduated 2nd in his class. Mr. Roman was a Member and an Articles Editor for the St. Thomas Law Review. Mr. Roman also receive a certificate in Tax law and participated in the Volunteer Income Tax Assistance (VITA) program. 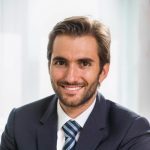 After his new found passion for tax law, Mr. Roman went on to obtain his Masters in Taxation (LL.M.) from New York University School of Law. Mr. Roman is fluent in Spanish. 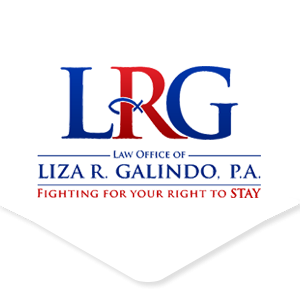 Lizette Reboredo is a Florida Supreme Court Certified Family Mediator and the founder of Divorce in Kindness. 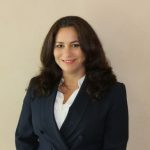 She is also an attorney licensed to practice law in Florida and her law practice at The Law Offices of Lizette Reboredo, PA, is dedicated to Collaborative Family Law and non-adversarial approaches to resolving family disputes. 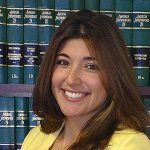 Ms. Galindo is admitted to practice law in the state of Florida and is a member of the American Bar Association. As a law student she was able to expose herself to the different areas of law which helped her to determine and subsequently specialize in immigration law and estate planning. 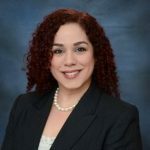 She developed her legal skills by working as a judicial intern, law clerk and upon her graduation as an associate for immigration and bankruptcy firms. Since 2001, Alex Hanna and his Team of Attorneys have handled thousands of different types of cases. Alex Hanna and his Team of Attorneys know the law and use their experience to fight for their client’s rights. Legal research, careful investigating and skillful negotiation are why people throughout Florida turn to Alex Hanna for legal assistance. Carl Palomino, P.A. Attorneys at Law provides immigration law representation and counsel to a varied spectrum of clientele, including individuals, families and businesses. Our guiding principal is that each step in the immigration process is crucial. With this in mind, we approach every case with creativity, sensitivity and diligence – the three essential qualities an immigration lawyer should possess. 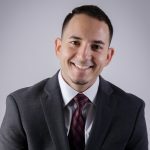 Angel R Lopez PA provides Tax and Business Advisory services to businesses, including tax law and tax planning & compliance for C Corps, S Corps, Limited Liability Companies (LLCs), Trusts & Estates, Sole Proprietors and Partnerships. The firm also provides confidential consultations to discuss business tax positions, tax compliance concerns and tax planning goals. Experienced Founding Partner with a demonstrated history of working in the law practice industry. Skilled in Legal Assistance, Criminal Law, Trial Practice, Westlaw, and Attorneys. Strong entrepreneurship professional with a Doctor of Law (J.D.) focused in Law from Stetson University College of Law. A Florida trademark attorney that zealously represents clients in the areas of copyright and trademark law. 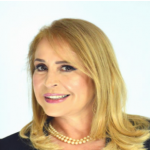 Ms. Alcoba is an experienced Miami trademark lawyer who advises clients with regards to trademark clearance and registrability. She is a Florida lawyer that prosecutes trademarks before the U.S. Trademark Office and represents trademark clients in cancellation and opposition proceedings, before the TTAB. She also helps clients resolve trademark and trade dress infringement disputes. 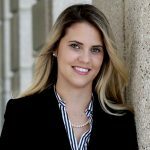 Prior to joining RG Law Group, Ms. Morales interned at the City Attorney’s Office for the City of Coral Gables and the Office of the General Counsel for Florida International University, where she focused on transactional legal matters. Further, Ms. Morales interned at the Small Business Clinic at Florida International University, where she assisted clients with entity formation, contract preparation and review, and preparation and submission of trademark and copyright applications. 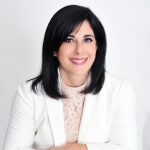 Elena Ortega-Tauler & Associates se dedica a proporcionar un servicio legal superior a nuestros clientes de tal manera que mantiene valores fuertes y preserva la imagen y la integridad de nuestro bufete de abogados. Somos un bufete de abogados comprometido a ayudar a los ciudadanos de los Estados Unidos y extranjeros por igual. Nos esforzamos por proporcionar una representación legal efectiva y obtener resultados positivos para nuestros clientes a través de un análisis legal cuidadoso, un trabajo de calidad y un servicio eficiente. 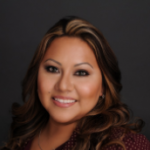 Jesika Diaz Munar is the owner and founder of Munar Law. 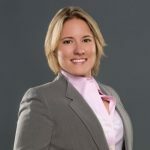 She brings several years of experience and knowledge to her clients, having worked in the South Florida legal field for over 15 years. She obtained both her law and undergraduate degrees at night, while working full-time during the day, experiences which she credits for building her ingenuity and mountain of practical skills. 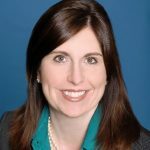 She puts those skills to use as a transactional attorney, focusing her practice on the representation of individuals and corporate entities in the areas of real estate, corporate, and business law. He is a Board Certified in Construction Law by the Florida Bar. He has extensive experience in the complex legal matters that construction businesses and property owners encounter on a regular basis. 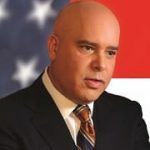 He has represented construction owners, contractors, subcontractors, material suppliers and sureties in a wide-range of clams and disputes. 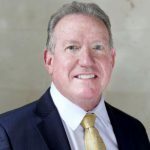 With over a decade as councilor and attorney to construction industry clients, he has experience in the resolution of payment disputes (construction lien and bond matters), the litigation of complex construction defect matters, construction licensing issues, and a variety of contract default issues. Joseph G. Tesmond is an experienced criminal defense attorney boasting 30 years of legal experience. 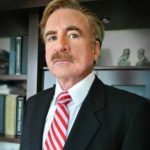 Joseph Tesmond graduated from the University of Miami’s School of Law in 1986, and served the community by working at the Dade County Public Defender’s Office for 12 years learning and perfecting litigation skills and trial techniques. In 1998, he decided to open his own private firm to further assist the people of Miami. Over the course of his career, he has gained valuable experience in his many positions, and prides himself in seeking justice for his clients. Mr. Keil is a general practice attorney as well as a Miami foreclosure attorney and loan negotiator. His broad-based knowledge makes him adept at handling complex legal matters that cross into multiple disciplines. To put it simply, he knows the justice system. Giacomo Bossa is an attorney with Moris & Associates. 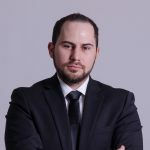 Mr. Bossa practices in the areas of commercial litigation and corporate work, with a particular focus on international law and international dispute resolution. Mr. Bossa has extensive knowledge of both Civil and Common law, including European law. Before moving to the United States, Mr. Bossa lived in Italy, Belgium and Spain, where he became acquainted with those countries’ legal frameworks. Gina focuses her practice on all aspects of estate planning, including drafting simple wills to complex trusts, business succession planning, advising on fiduciary matters and federal estate and gift tax returns; facilitating probate and estate administration; establishing guardianships; and federal tax controversy before the Internal Revenue Service (IRS). She assists individuals and families with wealth transfer and gift giving strategies, tax planning, and asset protection planning. She also assists family and small business owners with organization, structure and preservation of ownership for future generations. Gustavo attended Florida State University School of Law where he obtained a Juris Doctorate degree. He is a member in good standing with the Florida Bar and Texas Bar. Since its inception, Gustavo A. Fernandez, P.A., has conducted over one thousand residential real estate closings. 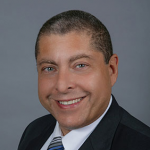 Mr. Fernandez is also an owner and principal real estate broker of iSure Real Estate Brokers, LLC, a member of the Cuban American Bar Association, South Miami Bar Association and regularly handles pro bono cases for the Put Something Back Program. Her practice focuses on business litigation matters with a primary focus on employment law. She represents employers in cases brought before federal and state courts involving claims arising from all aspects of employment discrimination, wage and hour disputes brought pursuant to the Fair Labor Standards Act, the American with Disabilities Act (including alleged accessibility violations pursuant to Title III), the Equal Pay Act, the Family Medical Leave Act, whistleblower laws, breach of employment contracts and enforcement of non-compete agreements.